Just as there is a productivity gap in the global construction industry, the field of engineering is experiencing a gender gap, with women representing 13% of the workforce within the U.S. In recognition of International Women in Engineering Day, Victaulic offers a solution for both of these challenges: Susan Schierwagen, Vice President for Coupling & Fire Suppression Systems. 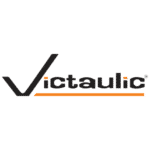 As a leading engineer at Victaulic, the world’s leading manufacturer of mechanical pipe joining systems, Susan is helping to forge a path to greater construction productivity through the development of new Victaulic systems. She designs solutions that increase overall system durability in the most demanding construction projects and operating conditions. By listening, engaging and understanding customer challenges, Susan has worked collaboratively to develop solutions that are being used in the largest real-estate development project since Rockefeller Center in New York City. 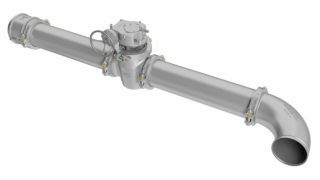 Under her leadership Victaulic engineered a Cerakote-coated mechanical pipe joint to withstand the uniquely high temperatures generated from the rail systems at Hudson Yards. When she’s not on a jobsite solving customer’s toughest construction challenges, she’s hard at work mentoring young women within the field of engineering. “I began my career in the 1980s when only 6% of engineers in the U.S. were women, there is still plenty of room for more women to enter the engineering workforce,” commented Susan. Susan’s applied engineering approach goes beyond problem solving, she’s altering the landscape of the world we live in, one construction project at a time – helping to engineer confidence into every build.